I have a confession to make: I was terrified to sleep train my twins. I felt judged by family members and singleton parents and feared people would think I was a bad parent. By the time my twins were 7 months (5 adjusted), I had two tired, little monsters on my hands. Thanks to reflux, colic and adoring grandparents, my twins had developed some horrible habits. They refused to sleep unless being held, woke around ten times a night and got up for the day around 4 a.m. My son was particularly difficult: he couldn’t regulate himself when sleepy and would scream in my arms for up to an hour before finally drifting off. 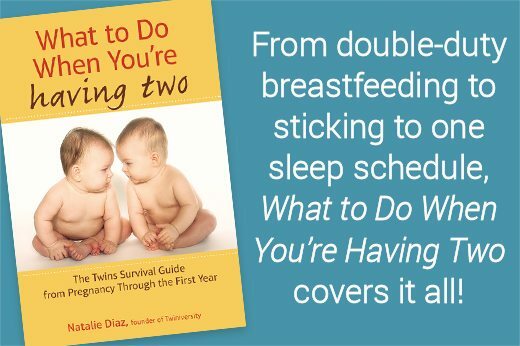 I read several books about sleep training, including Marc Weissbluth’s “Healthy Sleep Habits, Happy Twins,” Conner Herman and Kira Ryan’s “The Dream Sleeper” and Tracy Hogg’s “The Baby Whisperer.” We tried Hogg’s method in which you whisper “Shh,” while patting your baby’s back, but it never worked for us. I liked Weissbluth’s book, but thought it didn’t provide enough details about the methods he mentioned. We decided to try Herman and Ryan’s plan, which was basically cry it out (CIO) with significant guidance. Since our son was already crying himself to sleep, my husband and I figured it wouldn’t hurt to try CIO. We also liked some of the suggestions the authors made, like monitoring the room’s temperature and throwing a “wake-up” party, in which you congratulate and snuggle the babies when they get up. We also appreciated the book’s detailed schedules. However, there were some things we decided to do differently. 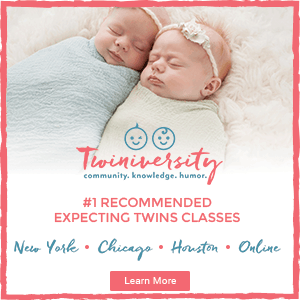 Herman and Ryan recommended training twins at different times and in separate rooms, but we chose not to since we thought they would ultimately sleep better if trained concurrently. Also, because our babies were underweight preemies who struggled to hit their target feed volumes, we decided to add a dream feed around 11 p.m. Contrary to Herman and Ryan’s advice, we also kept the twins’ mobiles in their cribs, as this gave us a way to easily occupy one baby in the morning while changing the other. The first few nights of sleep training were rough. The first night, they cried for nearly an hour at bedtime, and my son cried for another hour around 3 a.m. It was difficult to hear them upset, but Herman and Ryan’s advice helped. For example, they wrote that if your babies were crying in a car seat you wouldn’t take them out while driving because it would be dangerous. Sleep training is similar: you shouldn’t abandon it if the babies protest because it’s ultimately in their best interest to sleep. By the third night, both babies were sleeping through the night with minimal crying. Because the babies were finally napping in their cribs, I suddenly had time to do things like shower and eat. My daughter’s over-active nervous system improved and an early intervention therapist said she was like “a whole new baby.” Sleep training also gave me more confidence as a parent. This page contains affiliate links. This allows us to keep our content free to our readers. Trust your gut when it comes to which method you choose and when you decide to intervene. 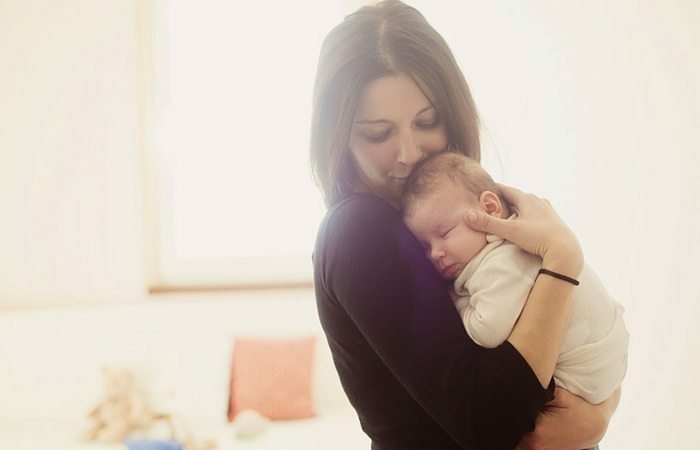 Part of the Cry It Out method is learning to distinguish between your babies’ cries so you’ll know when they need help vs if they are just being fussy. One night about two weeks into sleep training my son woke up screaming. Even though he looked fine on the monitor, I sensed something was wrong and went straight into the nursery. I found him covered in vomit, the beginning of a nasty gastro virus. I was glad I trusted my instincts and intervened immediately. When my kids were sick, I let them fall asleep in my arms. It meant they regressed somewhat in their sleep training, but it was worth it to be able to comfort them when they needed it. You don’t need to be strict about sleep training if your child is sick, as long as you are willing to retrain them when they feel better. It might be difficult, but in the long run it will be worth it. We had a difficult time getting our kids to nap in their cribs. A major breakthrough came a few days in, when we realized that our son did much better with gradual extinction/controlled crying at naptime. So instead of leaving him to cry it out, we would go in after 5 minutes, hold him and then put him back in his crib when he was calm. He almost always fell asleep right away after we made this adjustment. 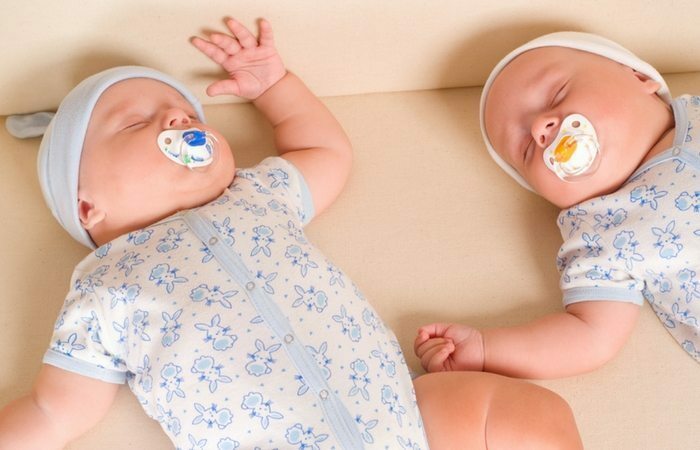 Herman and Ryan recommended letting your baby sleep with a lovey for comfort, but we thought they were a SIDS risk. 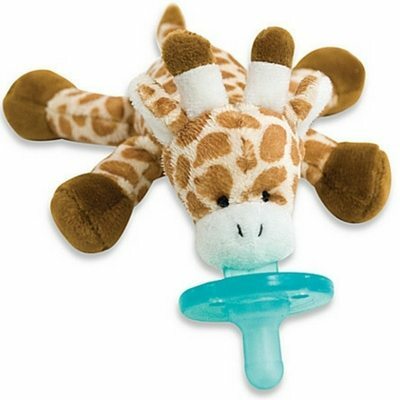 Instead, we used WubbaNubs – pacifiers with small stuffed animals attached. Our twins loved them and often hugged them in their sleep. They are definitely a favorite in our house. We tried to take a light-hearted approach to sleep training. For example, we sang “Twinkle, Twinkle Little Star” when the twins went to sleep and “Good Morning” from Singin’ in the Rain when they awoke. Try one of your favorite lullabies, I’m sure your twinnies will enjoy it. Don’t capitulate to people in your life who criticize your decision to sleep train, especially singleton parents who have no idea what you are going through. Trust that you know what’s best for your twins and go with it. 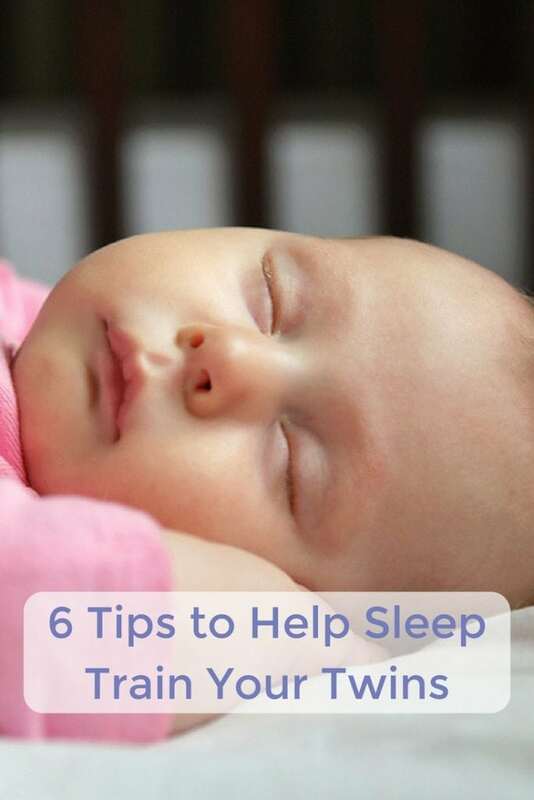 With some dedication and time your twinnies will soon be sleeping better than you could ever imagine. 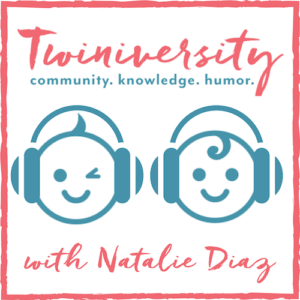 Shelley Walden is a freelance writer and mother of boy/girl twins who were born in 2016. She currently resides in New Mexico. 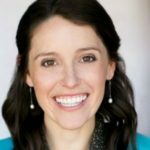 Her work has appeared in Cricket magazine for kids, USA Today and eHow, among others. She can be reached via her website at shelleywalden.com.